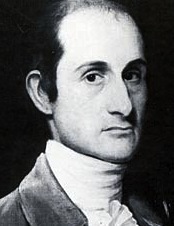 Jay was Governor of New York from 1795 to 1801 and became the state's leading opponent of slavery. His first two attempts to pass emancipation legislation failed in 1777 and 1785, but the third succeeded in 1799. The new law he signed into existence eventually saw the emancipation of all New York slaves before his death. The John Jay College Of Criminal Justice in New York is considered one of the most elite colleges for criminal justice attorneys.